Nganga is one of those special and unique books that leaves a lasting impression on you. 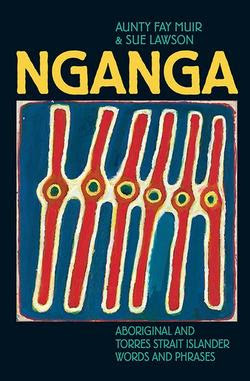 The concept is a simple one: Nganga is, in essence, a dictionary of Aboriginal and Torres Strait Islander words and phrases. There are terms you will likely be familiar with (culture, elders, land rights), and there are terms you may never have heard of (cleverman, scar tree, sorry business). There is a mix of English words/terms and words/terms in a variety of local languages. But every definition is written in the context of what it means to Aboriginal and Torres Strait Islander people. This is a very important book for all kids (and adults) to read. It provides insightful information about Aboriginal and Torres Strait Islander culture, and it does so in a straightforward and simple manner. Each definition is short (half a page to two pages), and the language is clear and easy to read. The book is also comprehensive. It covers terms for Aboriginal and Torres Strait Islander traditions, people, places and items, but it also covers important issues with the inclusion of definitions for things such as discrimination, racism, assimilation, stolen generations and reconciliation. Nganga is a word from the Boon Wurrung language, meaning to see and understand. And that’s exactly what this book provides — an opportunity to understand Aboriginal and Torres Strait Islander people, culture and history and see the world through their eyes. Nganga is a great book for families and classrooms to own. It’s the perfect book to initiate discussions and to have on hand when a child asks a question or wants to know more. I highly, highly recommend reading Nganga. It’s one of those books that simply needs to be read by everyone.